The Nike Air Max '95 is represented once again in the latest Nike Doernbecher Freestyle Collection. 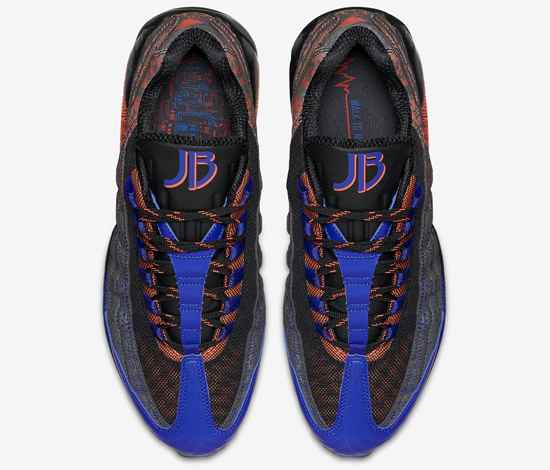 A "Premium" edition, this pair was designed by 14-year-old Jacob Burris who suffers from a rare heart condition, coarctation (a disconnect of the aorta). 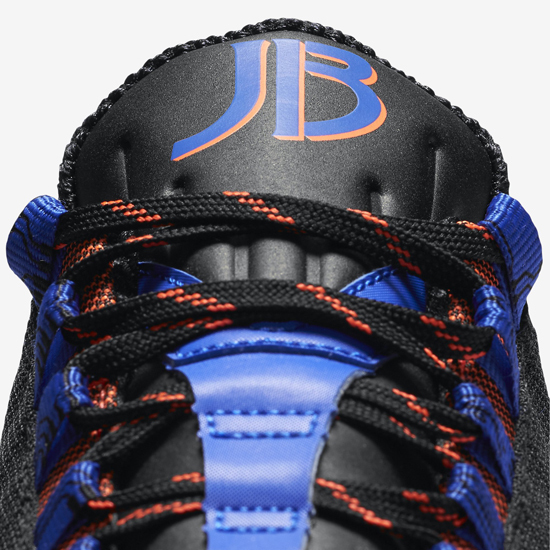 This pair features a black-based upper with orange and blue graphic designs throughout finished off by glow-in-the-dark and reflective 3M elements. A limited release, look out for them at select Nike retail locations on Saturday, November 21st, 2015. Retail is set at $170 for men's, and $100 for gradeschool. Enjoy the official images below of the "Doernbecher" Nike Air Max '95 Premium DB in multi-color and black. If you're interested in picking these up when they release, check in with your local Nike store to see if they will be receiving them. Those of you looking for a pair now can, grab them from eBay here.